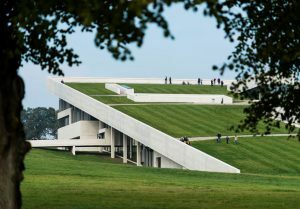 They don’t just give these titles away, you know – and after experiencing just a tiny slice of the plethora of events that Denmark’s second biggest city Aarhus has spent years arduously preparing, I now understand why. As one of the continent’s most prestigious and prominent cultural events, the title of European Capital of Culture is bestowed upon just two cities every 12 months – and it’s been fully 21 years since Denmark last got the nod through Copenhagen in 1996. Aarhus (along with Pafos in Cyprus) has jam-packed 12 months of film and literature, visual and performance art, outdoor and indoor public exhibitions, and music and sound into schedule – ensuring there’s enough culture for everyone to take part in and enjoy. 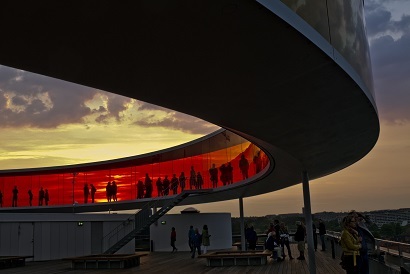 It all means that Denmark can reap the rewards of Aarhus’s spot on the European pedestal. Its achievement is the result of years of careful planning and preparation, and it’s clear this honour will carry on reverberating well beyond the country’s shores long after 2017 has rung out. “It will mean so much more than we can imagine,” contended Rebecca Matthews, the CEO of European Capital of Culture Aarhus 2017. Another of the project’s many goals is to bring unity to all 19 of the region’s municipalities. 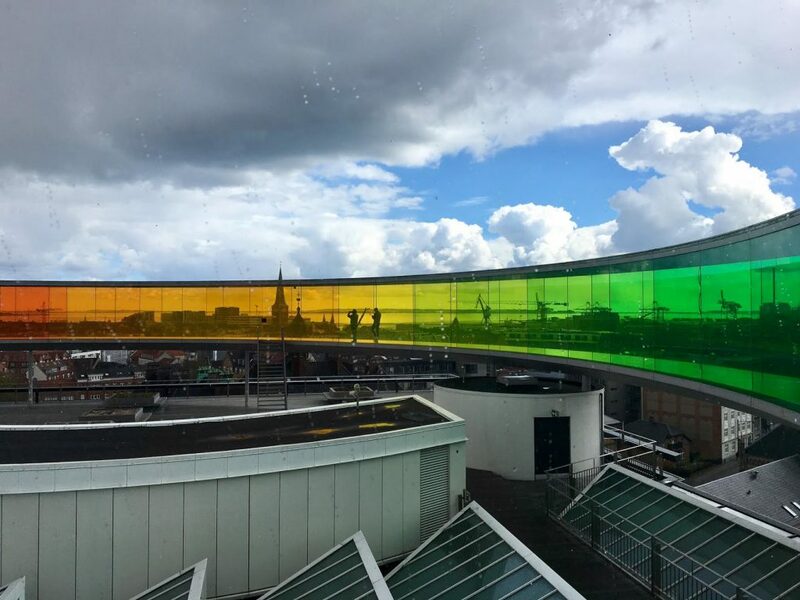 “The preparations for the European Capital of Culture have already created strong and developing connections across municipal borders,” contended Bent Hansen, the chair of the Regional Council for the Central Denmark Region. Each month sees debut after debut of new forms of the best of Danish and international art and culture inspired by the theme ‘Rethink: think the new, think anew, think again’. The theme, enthused Mathews, is as an “invitation and an inspiration to turn upside down our deep-seated ways of viewing things: what we do, how we do it, how we want to live, play and interact in the future”. I keep these themes in mind as I eagerly hop off a wonderfully expeditious Nordic Seaplane flight from Copenhagen and arrive in the blustery, droplet-sprinkled city shore on the east coast peninsula of Jutland. Along with Lydia, my tour guide and companion for the day, a taxi brings me to the green lawn and beautiful fresh air outside the Moesgaard Museum, a slanted white architectural masterpiece along a steep hill overlooking the forest and sea that houses an impressive selection of ethnographic and archaeological treasures. Moesgaard’s newest film exhibition, ‘Rejsen’ (The Journey), is right on target with the museum’s goal to be a centre for the confluence of storytelling, scenography and human culture. The film’s director Christoffer Boe and his crew travelled to all seven continents over the course of a year to capture this visually stunning 21-minute short, which offers a raw look at the human experience by following seven separate stories occurring concurrently in Denmark, South Africa, Papua New Guinea, the US, Argentina, Antartica and Nepal. Each story is told through one of seven conditions that constitute each person’s journey of human existence: birth, love, fear, loss, faith, rationality and finally, journey’s end, death. In the final room of the exhibition, virtual reality glasses offer the ability to immerse yourself in a fully 360-degree experience of moments along the filming journey – an opportunity for even more of an escape into the film’s stunning cinematography. Besides finding unparalleled beauty from all corners of the Earth, Boe successfully found the common string of human experience that wove together seven diverse stories, creating a powerful film that captured the essence of what we all share. Early the next morning, I climb up the towering concrete stairs towards ARoS, one of Europe’s largest art museums. 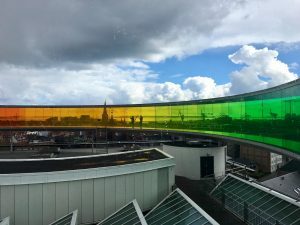 As well as visiting its impressive collection spanning the last three centuries, no trip is complete without strolling through its rooftop rainbow panorama walkway, a firm Instagram favourite created in 2011 by Olafur Eliasson. Built in 1859, the house of art displays works from many media by both national and international artists over thousands of square metres spanning ten levels. One of its current exhibitions, ‘The Garden – End of Times, the Beginning of Times’, is being presented in three structured parts, with the second and third opening in June. The first, appropriately entitled ‘The Past’, explores the deep interconnectivity of humans and nature over a 400-year period of art history, travelling through the baroque garden and sumptuous gardens of rococo art to modern day’s impact of human nature. “The exhibition unveils a general picture of man’s changing relations with nature seen through the lens of art,” explained Jakob Vengberg Sevel, ARoS’s curator. And ARoS sure hasn’t held back with this exhibition – marking the launch of what’s being called “the most ambitious exhibition in the museum’s history”, they’ve gathered more than 100 works by an incredible variety of artists. Not only are masters such as Paul Gaugin, Edvard Munch, Rene Magritte and Nicolas Poussin represented, but also modern works by Hungarian-born conceptual artist Agnes Denes, American land art photographer Robert Smithson, Danish-Icelandic artist Olafur Eliasson, and American video and performance artist Joan Jonas. The exhibition cleverly presents the garden as a metaphor, displaying man’s coexistence with nature through political, religious, scientific, ideological and cultural lenses. We begin in the luxurious yet orderly French Garden (see: ‘Versailles, Louis XIV’s grandiose obsession’), and travel through sensuous nature in rococo landscapes, to scientific nature during man’s new ideals emerging during the Enlightenment and Flora Danica in Denmark. Eventually, we reach ‘Paradise Lost’, with abstract art representing man’s loss of control over nature. One of the great strengths of this exhibition is its diversity of medium, size and manifestation. 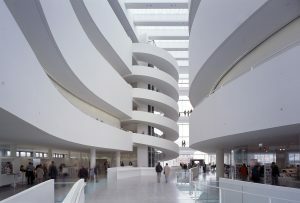 Strolling through its two large floors, you won’t only see paintings but films, installations, sculptures and land art. A memorable installation is ‘Chernobyl’ (2011) by American artist Diana Thater, which addresses our relationship with the natural world in both pre and post-nuclear landscapes. Contrasting images from before and after the 1986 nuclear power plant accident are projected onto six wall-size screens to remind us that nature in spite of disaster will adapt and continue to exist. Stay tuned for the second and third parts of this triennial, which are premiering on June 3. A short walk later I’m at Dokk1, a beautiful large glass building by the waterfront that functions as a public library, culture centre and headquarters for the hard-working Aarhus 2017 production team who keep all the events running smoothly. Over a cheery lunch of perfectly cooked salmon and spiced potatoes in the bustling canteen, I catch up with Nana Andersen, a member of the communications team. A resident of Aarhus her entire life, she’s thrilled to be a part of this project. “It’s about so much more than tourism,” she explained as she gushed with excitement about what’s coming up next. She’s especially looking forward to ‘Røde Orm’ (Red Serpent), the magnificent theatrical Viking saga performed on the roof of the Moesgaard Museum, which opens on 24 May. On the train back to Copenhagen, while reading the Aarhus 2017 program calendar and clutching the wonderful spoils of my cultural vacation, I am struck by the words of the patron of Aarhus 2017, Queen Margrethe II. “Culture quickens and nourishes our imaginations, it emerges out of our history and spans the ages,” she noted. Couldn’t have said it better myself, Your Majesty. ‘The Journey’ runs until 26 November at the Moesgaard Museum in Højbjerg, and the Garden Triennial’s three parts run until September 30. Find more information and the full event calendar, visit aarhus2017.dk.